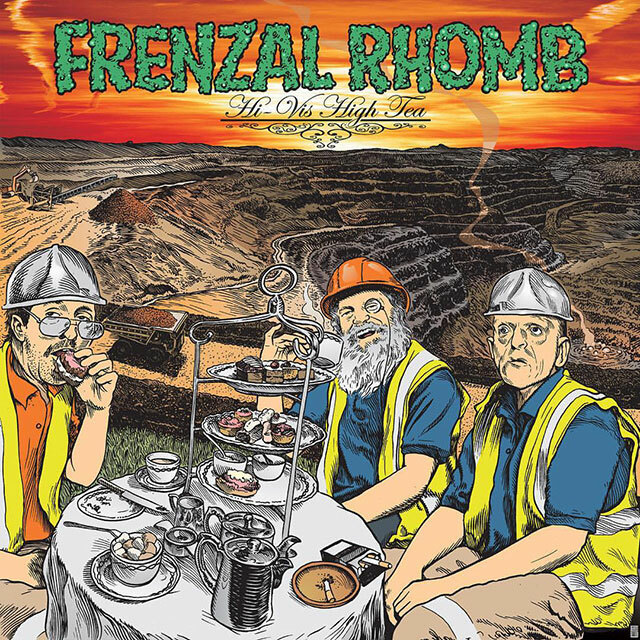 Album number nine for Frenzal Rhomb comes six years after the band last visited the punk rock holy ground of The Blasting Room studios in Fort Collins CA, USA with the indomitable Bill Stevenson at the desk. The same personnel and location were chosen for Hi-Vis High Tea, but it was planned a lot sooner. In true Frenzal fashion, even the significant challenges they faced in bringing the 20 songs on offer here came with the comedic stylings that have been infused in their DNA since the beginning in the early 90s. Jay Walley’s infamous exposure to a pigworm larvae makes an appearance in song at track 13, but the bigger impact on this production came off the back of drummer Gordy Foreman attempting to teach a punter how to stage dive in Western Australia, only weeks before the band were due to record in Autumn 2015. The social media shared of Gordy lying on stage with a morphine whistle and an extra elbow halfway up his left arm, the YouTube footage of Jay’s deadpan warning and commentary on the breakage don’t document just how hard the next year would be on one of Australia’s premiere drummers. In short, it was really tough. Hours upon hours of physio and rebuilding strength in the arm that had at least 12 pins in it and a scar from elbow to shoulder that you can see from the x-rays was about as serious as it gets. The effort in getting back into playing shape, getting some shows in and getting back to Fort Collins gives the album an air of triumph and comes through in the whole band’s energy on the recorded performances. Gordy tracked 23 songs in only 7 hours. That is a phenomenal achievement. So the album. On one hand, it’s album nine. You know what Frenzal do. Short, sharp, melodic blasts of Australian melodic punk rock. Song titles like ‘Don’t Cast Aspergers On Me’, ‘I’m Shelving Stacks (As I’m Stacking Shelves)’ or ‘Storage Unit Pill Press’ are not benchmarks in highbrow political song writing statements like say Propagandhi, whom also have recorded at the same studio on many occasions. 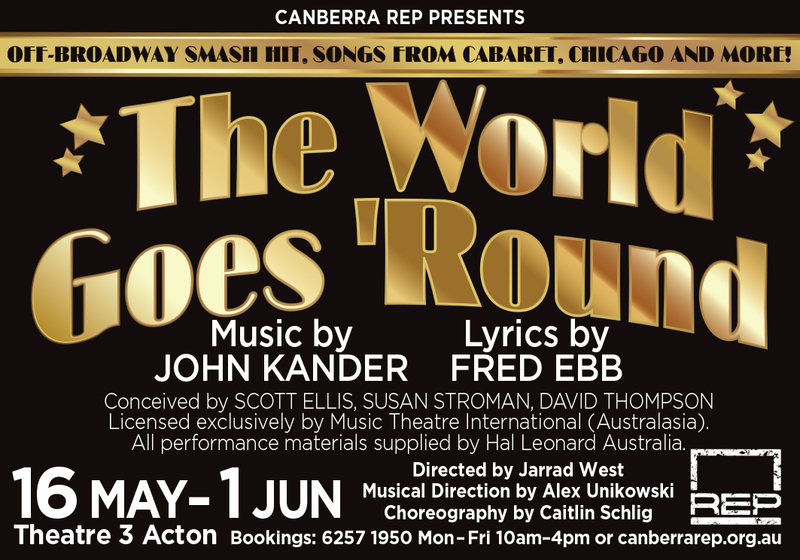 What it is, is infectiously catchy, expertly delivered and wit so dry as to think you’re eating Weet-Bix sans milk. Gordy’s work is top draw, but for me the MVP on the record is Tom Crease, who absolutely shreds dynamic basslines around Lindsay McDougall’s energetic guitar performance. Tom also supplies a broad melodic foundation to the vocal lines, and gives added melodic emphasis to Jay’s lyrics and lines. The production is an improvement on Smoko for me, the guitars dialling back the gain a little and sounding fuller as a result. It’s a fantastic, fun 35 minutes that should see them losing their sixth ARIA award for having too much fun, thereby confusing the award givers who are going to have to nominate it for its quality, but unable to appreciate that they’re more likely the targets of Jay’s ire in the verses of ‘School Reunion’. I’d give it an ARIA for the song ‘Ray Ahn Is My Spirit Animal’ alone, but, that sort recognition is thoroughly unnecessary. Album number ten will roll around in shorter order than it took for number nine, it will also be hilarious, and played by a band that has a seriously good time being silly. Killer.